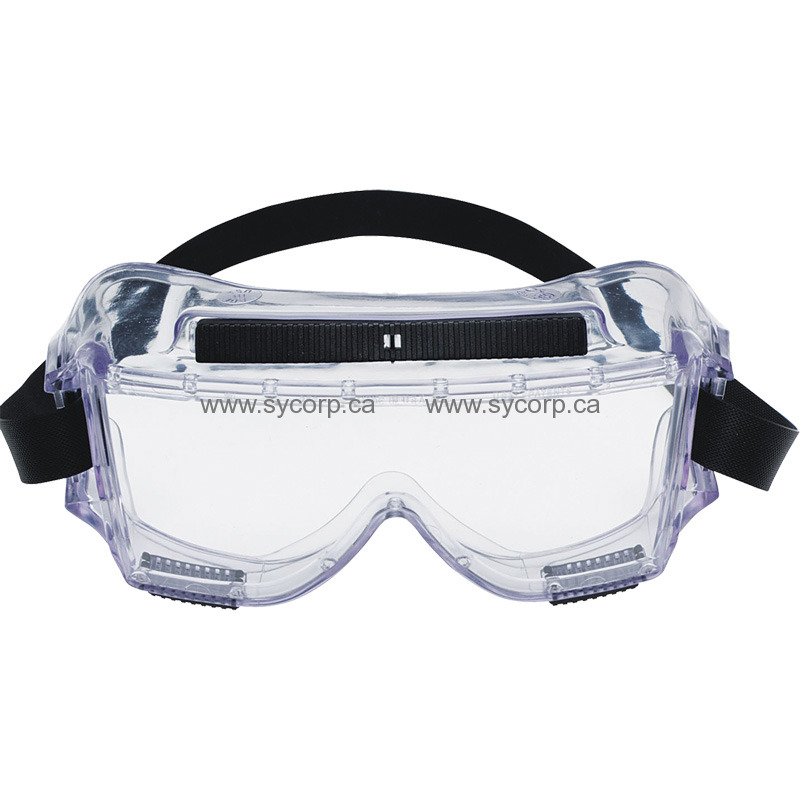 3M™ Centurion Safety Splash Goggle 454AF offers reliable protection and comfort, featuring a large lens opening to accommodate most prescription and safety eyewear and an indirect venting system to minimize fogging. The Centurion vented safety impact goggle is reliable protective eyewear, featuring a wide-angle wraparound frame design with distinct "side-to-side" peripheral vision and a large lens opening to accommodate most prescription and safety eyewear. Includes wide nasal flare for added comfort and a direct venting system to minimize fogging.